We are always looking to book our next cruise. With this week’s updates and announcements, we became even more excited about planning our future trips for 2019 and 2020. Wait, you didn’t hear all of the headlines? 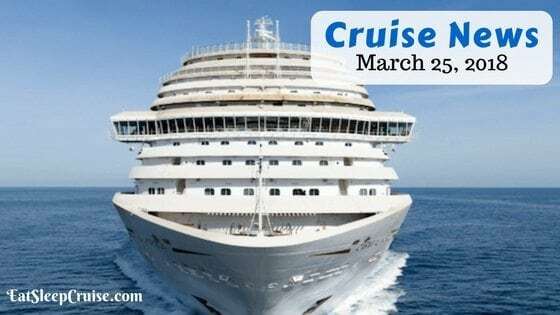 We have them all here in this edition of Cruise News March 25, 2018. Adventurers sailing with Celebrity Cruises now have more options to go beyond the cruise port. The line updated its current offerings of Great Adventure shore excursions this week. These enhanced shore excursions are part of a cruise line initiative with brand ambassador and adventurist, Ben Fogle. The first excursions launched as part of Mediterranean voyages. 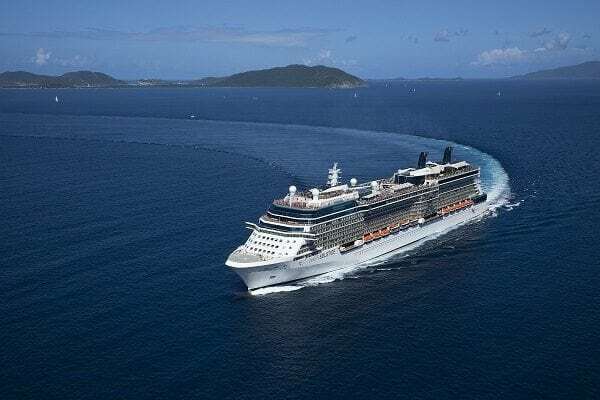 Now, Celebrity Cruises is expanding the current lineup to ports of call in Alaska and the Caribbean. In total, there are 20 Great Adventures across the three regions. Some of these thrills include putting cruisers at the helm of a racing yacht and scaling the side of a dormant volcano. In what is becoming a yearly headline, Norwegian Cruise Line has announced increases to the onboard service charges. The raise will go into effect as of April 1st of this year. No, this is not an April Fool’s joke. The line’s standard rate will go up 51 cents from $13.99 to $14.50, an increase of 3.65%. Prices will be going up in other room categories as well with the daily service charge for suites and the Haven also increasing by 51 cents a day. Guests on the all-inclusive Norwegian Sun and Norwegian Sky will see a steeper increase of $1.00 a person, per day. Those currently booked on an NCL cruise can prepay gratuities now and lock in the lower rates if paid by March 31st. This week, two cruise lines also opened up their reservation systems for new ships. Norwegian Cruise Line began taking deposits for the fourth Breakaway-Plus cruise ship, Norwegian Encore. As part of a current promotion, some sailings even qualify for the limited-time offer of $1 deposits. The ship will be crossing the Atlantic in November of 2019. For cruisers looking to sail the west coast, Carnival Cruise Line made bookings on the third Vista-class ship available as well. The Carnival Panorama will be the largest ship to homeport in Long Beach, CA when it is delivered in December 2019. Seven-day cruises visiting the Mexican Riviera are now open with fares starting at $499 a person. 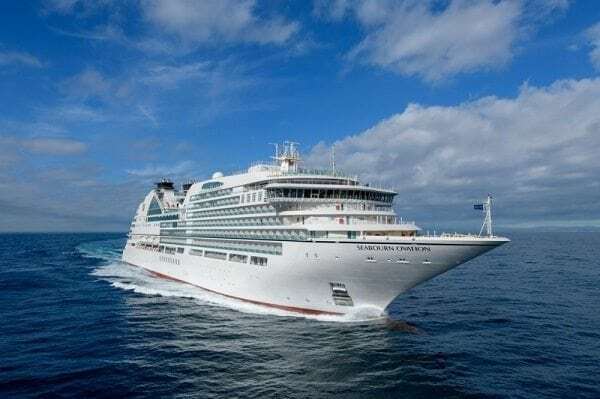 The fifth ultra-luxury cruise ship from Seabourn Cruise Line, Seabourn Ovation, completed its final sea trials. The ship returned last week to the shipyard in Italy after spending four days at sea. This final test included a crew of officers and engineers to ensure the ship functioned as expected. Seabourn Ovation’s official delivery date is April 27, 2018. The finishing touches on interior public spaces and last minute updates will occur over the next couple of weeks. The ship’s inaugural cruise is an 11-day Mediterranean sailing departing from Venice, Italy to Barcelona, Spain. MSC Cruises will soon be improving its menus. The brand announced details this week to partner with world-renowned chef Ramón Freixa. This new collaboration with the Michelin-starred chef will feature the addition of new dishes and tapas developed by Chef Freixa in restaurants throughout the MSC fleet. Also, the chef will oversee training and provide support to the current culinary teams onboard MSC ships. 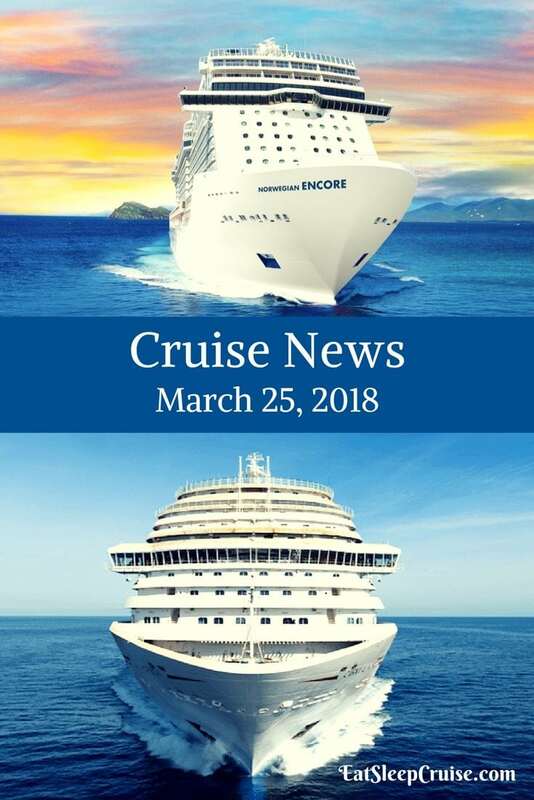 Did we miss any other major updates in this edition of Cruise News March 25, 2018? Drop us an anchor below to share your breaking news with fellow cruise addicts.